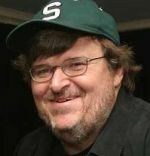 On Aug 7-8, 2010 filmmaker Michael Moore will livecast the hearings of the Kent State Truth Tribunal, streaming in real-time the accounts of participants and witnesses to the events surrounding the 1970 Kent State shootings, that left four students dead and nine injured. This livecast is a continuation of the first real-time broadcast of a truth-seeking initiative on Kent State and will be broadcast on www.MichaelMoore.com from 9am-5pm PT. The Tribunal in San Francisco follows a four-day tribunal in Kent, Ohio in early May which marked the 40th anniversary of the campus shootings and assembled over 70 testimonies. The Kent State Truth Tribunal in May resulted in an outpouring of original participant testimonies, some who shared their stories for the first time since the shootings, forty years ago. Demand for participation was immense at the 40th anniversary yet many witnesses and participants in the events surrounding the shootings were not able to travel to Ohio. “San Francisco was a cultural and political hub in the sixties and seventies and it is no accident that so many young people scarred by the events of Kent State headed west after the tragic events of May 1970. Forty years later, the west remains a progressive mecca and many Kent State participants made the west coast their home, like me. We will collect their experiences of the Kent State shootings to continue to try to learn the truth about Kent State in 2010,” said Laurel Krause, tribunal founder and sister of Allison Krause, one of four students killed at Kent. The Kent State Truth Tribunal was convened by family members of students killed at Kent State in order to record and preserve the stories of those directly affected by the shootings and reveal the truth of what happened on that day 40 years ago. The Ohio National Guard, who opened fire on the protesters, has never publicized the findings of its internal investigation into command responsibility for the shootings. Three days after the original Kent State Truth Tribunal the Cleveland Plain Dealer broke a major story about a recorded order to fire given to the Ohio National Guard on May 4, 1970. Then on June 15th, in the U.K., British Prime Minister David Cameron apologized for the killings of Bloody Sunday, a strikingly similar event in 1972 where British paratroopers fired on demonstrators, killing 14 people. The Truth Tribunal is generating a comprehensive historical record of the Kent State massacre. Interviews are being conducted by award-winning filmmaker Emily Kunstler and like the 40th anniversary hearings, will be simultaneously livecast on the home page of www.MichaelMoore.com. Archived interviews can be found on http://TruthTribunal.org/testimonials. The footage and mementos from the tribunal will be physically archived and available for viewing by the public as part of the permanent collection at the renowned Tamiment Library at New York University. The west coast tribunal will take place over the weekend of August 7 & 8, 2010 at 150 Green Street, San Francisco, California. Organizers are asking for all original participants and witnesses of the event surrounding the 1970 Kent State shootings to pre-register at www.TruthTribunal.org/preregister. An East Coast Tribunal will follow in New York City on October 9 & 10. On May 4, 1970 the Ohio National Guard opened fire on unarmed students protesting America’s invasion of Cambodia during the Vietnam War. In a day that changed America, four students were killed and nine were wounded as they protested against the war. The incident triggered national outrage in a country already divided. In immediate response to the Kent State shootings, more than four million students rose up in dissent across 900 campuses, generating the only nationwide student protest in U.S. history. No one has been held responsible for the deaths and injuries that resulted from the shootings. Editor’s Note: In late December 2009, the sea lions at Pier 39 in San Francisco vacated their home on the floating piers. This article may shed some light on what’s happening on the SF coast and the reasons for their leaving. Like many others, we wonder where they went and for what reasons. A humpback whale that suddenly rose out of the water and splashed down near the Farallon Islands provided a research vessel full of scientists with a surprising bonanza of research data. “Whale poop!” shouted several researchers in unison, as biologists scrambled to collect the floating reddish specimens Saturday as part of a comprehensive study of the ocean’s ecology off the Northern California coast. The color of the whale excrement meant that the huge creature had been feeding mostly on a tiny shrimp-like crustacean called krill instead of fish and anchovies, its preferred food in recent decades. It is a change in diet that several bird species at the Farallon National Wildlife Refuge are unable to make, according to researchers in a joint ocean survey by the Cordell Bank National Marine Sanctuary, the Gulf of the Farallones National Marine Sanctuary and PRBO Conservation Science. 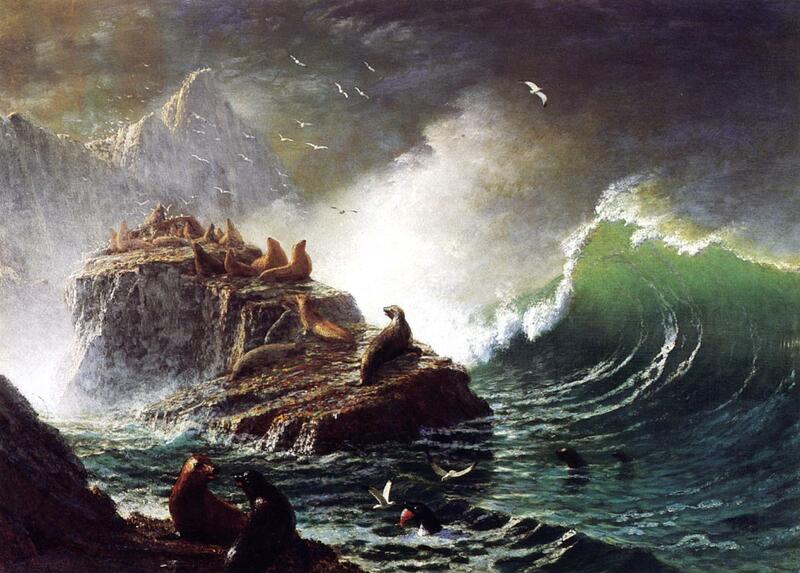 As a result, colonies of fish-eating cormorants, seagulls and murres failed to breed this year on the Farallon Islands. Over the past few months, dozens of dead birds and even sea lions have been found on local beaches. Anchovies have disappeared, and scientists don’t know why. The researchers on the vessel believe that, in their absence, birds and mammals like humpback whales that eat krill are thriving while the ones that are eating only fish are in trouble, and the whale excrement served as evidence. Brandt’s cormorants, a black bird with white plumes that can dive as deep as 300 feet for its prey, did not produce any chicks this year on the Farallones or on Alcatraz. That’s compared with 15,000 chicks in 2007. For the anchovy-loving bird, it was the first complete breeding failure in 40 years during a year without El Niño conditions so far, according to scientists at PRBO, formerly known as the Point Reyes Bird Observatory. Western gulls and common murres produced about one-seventh of the number of chicks they normally hatch. Researchers on the Farallones reported an increase in predation on the chicks that were produced, mainly because the parents were too far away looking for food. Beachgoers probably noticed the death toll. Six to eight times the normal number of dead cormorants and sea lions were found on Bay Area beaches in May, June and July, according to researchers. The death toll in each case involves birds and marine mammals that prey on anchovies and other fish. The deaths and breeding failures are all the more troubling because there appears to be plenty of krill, rockfish and other prey species to feed the seagoing birds and mammals. Jaime Jahncke, the director of marine ecology for PRBO, said common murres had previous breeding failures in 1982-83 and in 1991-92, but both times the problems were linked to El Niño, a weather condition associated with warmer ocean temperatures and atmospheric conditions that cause heavy storms. Although forecasters say an El Niño is forming in the tropics, it has not yet hit California, Jahncke said. Seagoing birds and mammals near the Farallon Islands depend on krill, anchovies and other prey that are attracted to conditions produced when cold, deep ocean currents bounce off the underwater outcropping called the Cordell Bank, forcing nutrients upward. The nutrients are most abundant during the transition from winter to spring. Spring arrives an average of 20 days earlier than it did in 1970, Jahncke said. There has also been an increase in the strength of the upwellings over the past two decades, he said. Apart from the lack of anchovies, that is probably a good thing. The team of scientists on the boat spotted several blue whales before the humpback put on its show. The abundance of blue whales, which feed almost exclusively on krill, and the evidence provided by the humpback made it clear that there is plenty of krill in the ocean. Jahncke said salmon smolt also feed on krill, a fact that may or may not help the beleaguered Central Coast chinook. The Cassin’s auklet, a small, chunky seabird that feeds on krill, had above-average nesting success this year. But wild fluctuations are now almost normal, according to the researchers, who are concerned that the El Niño predicted for next year will cause a further decline in the numbers of birds. When Pacific Gas and Electric Co. announced a deal to buy solar power from a proposed 230-megawatt project last Friday, it shone a spotlight on a two-year-old company with a different business model than many startups who have inked similar deals with the utility. The deal also raised the question: Who is NextLight? NextLight Renewable Power, based in San Francisco, wants to be purely a power plant developer and owner. The deal with PG&E is the first power purchase agreement for the startup, which is funded by private equity firm Energy Capital Partners, said Jim Woodruff, vice president of regulatory and government affairs, in an interview Monday. “We think the tech agnostic approach is a winning business model,” Woodruff said. “All the core skills that are necessary to develop power projects are the same” for solar or other types of power plants. The company boasts managers who have experience developing power plants and transmission projects as well as negotiating renewable power purchases. NextLight’s CEO, Frank De Rosa, worked for PG&E for 23 years and held various roles at the utility, including the director of renewable energy supply, before founding NextLight in 2007. Woodruff worked for Southern California Edison for more than 10 years, first as an in-house counsel and later as the manager of regulatory and legislative issues for the utility’s alternative power business. NextLight has been developing other solar power projects on public and private land in western states, including a plan to install up to 150 megawatts of generation capacity in Boulder City, Nevada. The Boulder City Council is slated to vote on whether to lease 1,100 acres of city land to NextLight tonight. The company would sell 3,000-megawatt hours of energy per year to the city if the project is built, Woodruff said. PG&E signed the deal with NextLight after it had inked many power purchase agreements in recent years to buy solar power from startup companies with the ambition to both develop their own technologies as well as owning and operating solar farms. Some of the projects seem to be moving along. A few have hit snags. 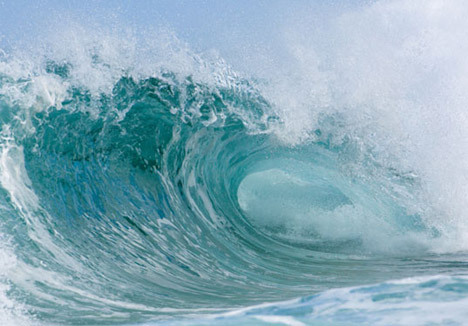 The deal to buy power from Finavera, an ocean power developer in Canada, fell apart last year when the California Public Utilities Commission decided that the contract would be too costly to ratepayers (see California Rejects PG&E Contract for Wave Energy). OptiSolar, which was supposed to build a 550-megawatt solar farm to sell power to PG&E, couldn’t raise enough money to operate its solar panel factory and develop solar farms. First Solar, another solar panel maker based in Tempe, Ariz., bought OptiSolar’s project development business for $400 million in April this year. First Solar would use its own, cadmium-telluride solar panels, instead of the amorphous silicon solar panels OptiSolar was developing. PG&E has said that the power contract would remain in place. NextLight, on the other hand, would pick different solar technologies instead of developing its own. The approach isn’t new – SunEdison was doing this before others joined the party. But there is no guarantee that this approach would enable NextLight to deliver energy more cheaply, and neither NextLight nor PG&E would discuss the financial terms of their contract. Rumors have been circulating about whether NextLight would use SunPower’s equipment for the 230-megawatt project, which is called AV Solar Ranch 1, particularly since the project’s website features a photo of SunPower panels. Woodruff said NextLight hasn’t selected a panel supplier. The company and PG&E have agreed to use solar panels, but the utility wouldn’t have a final say on the supplier, Woodruff added. Gordon Johnson, head of alternative energy research at Hapoalim Securities, also cast doubt on the SunPower rumor. “Based on our checks, we do not believe [SunPower] won the PPA with NextLight,” Johnson wrote in a research note. 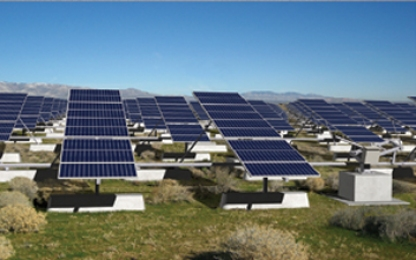 NextLight plans to start construction of the AV Solar Ranch project in the third quarter of 2010 and complete it by 2013. The company said it would start delivering power in 2011. The project would be located on 2,100 acres in Antelope Valley in Los Angeles County, Woodruff said. The company bought the property last year for an undisclosed sum. The company would need approval from the Los Angeles County to construct the solar farm. The California Public Utilities Commission would need to approve the power purchase contract between PG&E and NextLight. NextLight also is developing a power project with up to 425 megawatts in generation capacity in southern Arizona. The company is negotiating to a farmland for the Agua Caliente Solar Project, Woodruff said. The 3,800 acres are located east of the city of Yuma. The company is negotiating with a utility to buy power from Agua Caliente, said Woodruff, who declined to name the utility. NextLight hasn’t decided whether to install solar panels or build a solar thermal power plant for the Agua Caliente project. Solar thermal power plants use mirrors to concentrate the sunlight for heating water or mineral oils to generate steam. The steam is then piped to run electricity-generating turbines. But solar panels appear to be a more attractive option than solar thermal for now, Woodruff said. “We’ve concluded that, in the near term, PV is more cost effective,” he said. President Obama chose two Silicon Valley notables as members of his new Economic Recovery Advisory Board. The 15-member board shall advise Obama on decisions about the US economy and announced to spur Congress into passing legislation for his economic stimulus plan. Among his picks is Charles Phillips, president of Oracle and John Doerr, a Silicon Valley venture capitalist who serves on the boards of Google, Amazon, and Symantec. The board is headed by Paul Volcker, the former US Federal Reserve chairman and one of Obama’s top economic advisers. Phillips became president of Oracle in May 2003 and was previously with (the then-investment bank and now-bank holding company), Morgan Stanley. Doerr is a venture capitalist associated with KPCB, who’s backed quite a few big names of Silicon Valley in their early years. Like Compaq, Sun Microsystems, Intuit, Netscape, and Amazon. He’s also been a major advocate for carbon trading and green tech causes. Other names on the board include Martin Feldstein, professor of economics at Harvard University; Jeffery Immelt, CEO of General Electric; and Robert Wolf, CEO of investment bank UBS Group Americas.